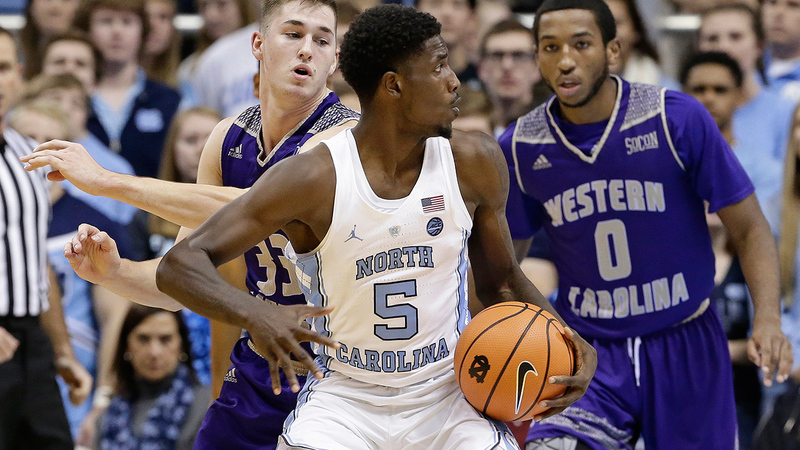 CHAPEL HILL, NC (WTVD) -- Jalek Felton's North Carolina career will be a short one it turns out. Sutton also released a statement Thursday. "There is nothing we've heard that justifies UNC's actions against Jalek Felton," Sutton wrote. "He had faith in UNC's future when no other five-star recruit did. UNC has turned its back on him. I spoke with Roy Williams today and he obviously feels the pain of Jalek's crushed dream to play at UNC. Jalek will land on his feet, but our battle here is far from over." Felton was the signature recruit of Williams 2017 class, a five-star seeming future star out of Columbia, SC. His freshman year wound up being underwhelming as he played in 22 games, averaging under 10 minutes and 2 points per game. Those numbers were even lower in ACC play prior to his suspension. No word yet on where he's headed next or what may come of his legal issues.